Environment- SCSM 2012R2, Outlook 2013, 2010? 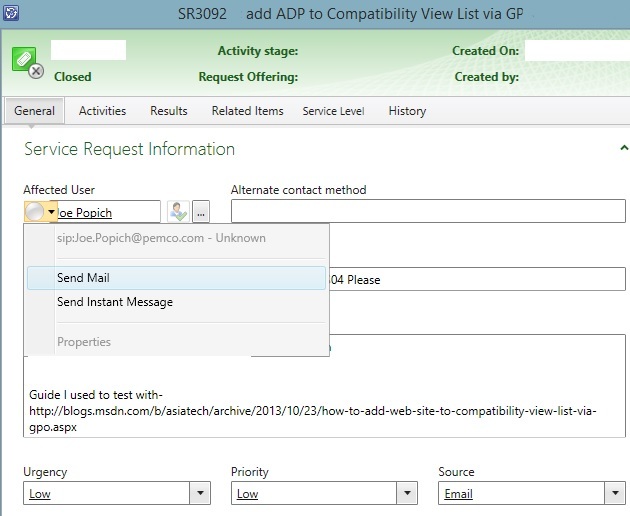 As you can see when you select “Send Mail” in the SCSM console you get a “sip:” in front of the “To…” line in Outlook. *I have received reports that over time this PowerShell may need to be ran on a schedule and just not a one time fix.